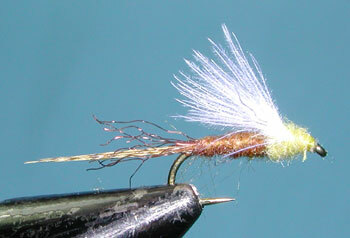 Notes: Rene Harrop designed this type of Cripple pattern utilizing the CDC feather for the wing. The high degree of floatation allows this pattern to float within the film despite being small. The tail consists of Lemon Woodduck Flank Fibers. Over these fibers is a sparse amount of Z-lon which represents the shuck and is about half the length of the tail. 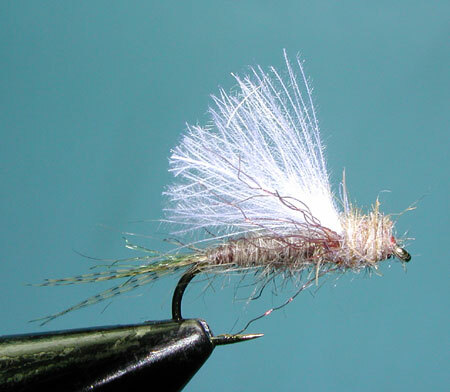 The White CDC feather gives good visability to the fly, although Dun colors might be a better match to the actual insect. 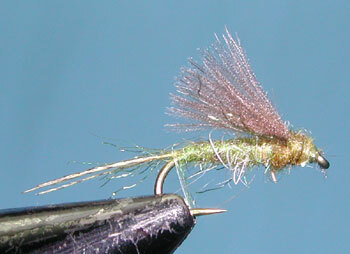 Rene uses specific colored Z-lon on each side of the CDC feather tp represent legs or appendages. 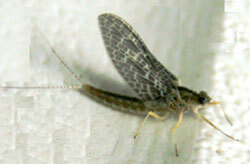 Cripples represent mayflies that are just emerging or got stuck in it's shuck. As the season progresses go to smaller and darker pattern colors.